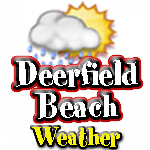 WELCOME to Deerfield Beach Events Calendar. This is an excellent way for you to stay current with FREE Events and PAID Events in Deerfield Beach, FL and throughout South Florida. To Add an Event, click the 'Add Your Event' button below and select the 'Date and Time' for your special event. Our administration team will APPROVE your event within 24 Hours after submission. Post your Special Event FREE! Join our Deerfield Beach Email List to receive our monthly newsletter about our Community Partners. You will also receive information about our Special Events, Coupons and Discount Specials from Restaurants and Boutiques, and FREE Movie Tickets throughout South Florida. 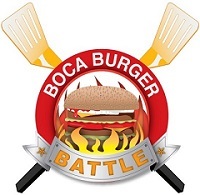 Details: Not only is the excitement rising, the BBQ Grills are getting ready to fire up for the 5th Annual Boca Burger Battle Competition on Saturday, July 16th in Sanborn Square Park in downtown Boca Raton. The hand-picked team of 17 Chefs are incredibly adventurous at creating secret recipes as preparations for A Grilling Affair! returns again for the fifth year. 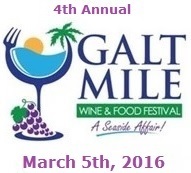 Join us for this awesome Community Event to help benefit PROPEL.